Finally, a double quick-release seatpost clamp! These DoubleQuick clamps will fit the Nimbus Oracle, Kris Holm and Impact unicycles. 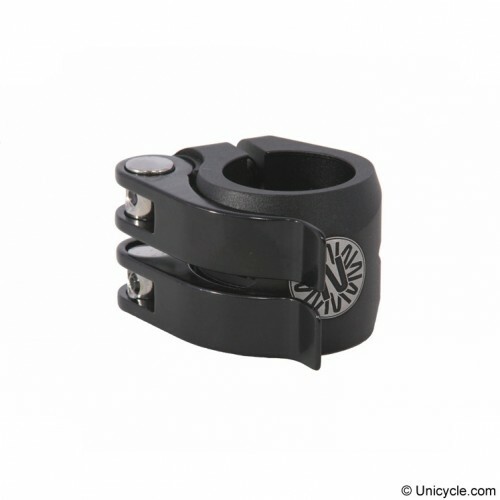 These clamps will fit a 27.2mm seatpost and frames with an external diameter of 31.8mm. Great for mounting a hydraulic brake on cycles! Works with the Kris Holm, Qu-Ax and Torker DX seats!..